In a beautiful dawn of April 25, 2017, Durgalal BK and his wife excitedly visited their newly constructed house in the Dalit settlement in Baramchi Village in Sindhupalchok, Nepal. The BK family had a plan to paint their new dream house on the day when Nepal was commemorating the second anniversary of Gorkha quake. The BKs were one of 142 families in Sindhupalchok who were beneficiaries of the housing project of LWF (the Lutheran World Federation) Nepal, a member of ACT Alliance. A total of 29 houses were constructed in the BK’s Village Development Committee (VDC) with the support of LWF Nepal and Gramin Mahila Srijanashil Pariwas. After INGOs were given the approval to begin permanent shelter construction in April of 2016, LWF Nepal along with other members of ACT Alliance supported earthquake affected populations to rebuild their houses. Presently, LWF has completed a total of 356 houses. 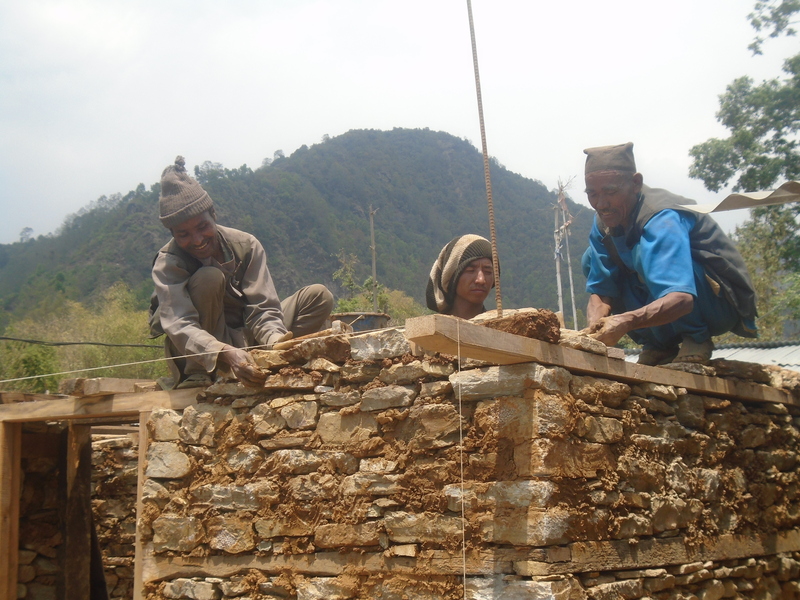 LWF plans to construct a total of 1041 houses in Dolakha, Sindhupalchok, Kavre, Lalitpur, Kathmandu and Rasuwa. Durgalal, his wife, and their two sons were out of their house when the 7.8 magnitude earthquake struck on April 25, 2015. The quake collapsed his newly built house, killing five goats and some pigs. Fortunately, his family was unharmed, but the quake left him bankrupt. The earthquake shattered the lives of most of the people in 14 hard hit districts in Nepal. It killed 8,891 people and injured more than 22,000, flattening over 600,000 residential buildings and partially damaging nearly 300,000 houses. Durgalal had heard the name of ACT Alliance and LWF Nepal for the first time when he was roaming here and there in open space right after the earthquake. “A truck with relief materials was stopped near our village. I was given rice, biscuits, beaten rice and a sheet of tarpaulin,” Durgalal said. The materials brought great respite to Durgalal and his neighbors. The tarpaulin was particularly important as it provided them shelter and saved them from the rain. After two months, LWF returned to Baramchi with food packets, livelihood support of NRS 5,000 (about $50 US) and zinc- roofing sheet for each household. “The support enabled them to establish a temporary shelter in their own place and keep goats and pigs to restart their normal life”, Gopal Dahal, Emergency Reponses and Disaster Risk Reduction Coordinator at LWF Nepal says. Despite an unfavorable environment during the relief phase, ACT Nepal Forum members including LWF Nepal reached 500,000 hard-to-reach earthquake-affected people with lifesaving relief materials. Under the ACT Appeal, ACT members covered 122 VDCs and 6 municipalities in 10 districts with recovery, resilience and reconstruction programs. Durgalal felt the real spirit of the reconstruction after a group of masons in his village received training on earthquake resistant masonry and he was provided the Rs 50,000 ($500 US) as a first installment of a shelter grant by LWF Nepal. Although the National Reconstruction Authority (the authority who has the mandate of rebuilding following the quake) began in Nepal nine months after the quake, INGOs were only given permission to begin building a year after the earthquake. It was obvious that earthquake affected people like Durgalal couldn’t feel the reconstruction spirit unless organizations/government reached out to the target population with its permanent shelter construction cash support. As the Nepal government’s policy provisions to provide shelter grant of Rs 300,000 to each earthquake affected households, ACT members in Nepal has been providing the grant in coordination with National Reconstruction Authority. Since December, Durgalal has been busy all day rebuilding his community. “I, together with my team of masons, have been involved in community- rebuilding. My team has already completed 5 houses and 4 more are under construction”, Durgalal said. Skilled and semi-skilled masons have adopted a labor exchange system locally known as Prama Pratha. This practice has saved money for reconstruction and encouraged ‘collective reconstruction’. ACT members began providing humanitarian support on the first day of the calamity and these organizations continue providing support to earthquake survivors through shelter, livelihood, water, sanitation and hygiene (WASH), psychosocial and education support. The Forum is making the link from relief to long-term development in Nepal. 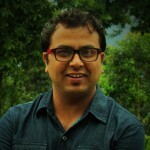 “ACT Alliance Nepal Forum is working on the ‘Build Back Better’ approach. We will collaborate with the government in speeding up the reconstruction and link the recovery and reconstruction initiatives to the long term development,” Dr Prabin Manandhar, Convener of ACT Alliance Nepal forum said.